I’m not entirely convinced going vegan is for everyone. I am convinced we would all benefit by eating more plants and less meat. Our collective health, humanity, and planet would start to revitalize. Careful observation, research, and a healthy dose of common sense. As it turns out, there are hundreds of individual differences in biochemistry, genetics, blood type, etc. Although the percentage of people who react unfavorably to a vegan or vegetarian diet is low, it matters to have integrity when talking about these things. I don’t think a diet exists that’s perfect for 100 percent of the population. I am also convinced that it’s possible to gain size and strength from eating a plant-based diet with proper training. Despite the prevailing archaic belief we need to eat meat to build muscle, I know this from personal experience. The good news is, it’s getting harder and harder to defend that outdated noise when guys stronger than Arnold in his prime are vegan. And I mean this literally. Two examples off the top of my head are world-record-holder strongman Patrik Baboumian and 300-pound NFL defensive lineman David Carter. The problem is, most people aren’t aware that vegan athletes are performing at this level. VegetarianBodybuilding.com and our other friends mentioned in this article are trying to change that. Interest in veganism is indeed on the rise, but the bodybuilding and fitness community at large remains skeptical and hesitant. This is mostly attributed to the profoundly effective and pervasive meat industry marketing machine. You don’t have to look far to catch a glimpse at how powerful, even hypnotic, advertising can be. It has been over a half century since the disastrous health risks of smoking cigarettes was first suggested by scientists, and it’s just now finally dying off – sort of. There’s still over 42 million smokers in the US alone. We will see a similar trend with meat eating, I believe. Just like with the health risks of smoking catching on, many of us are waking up to the health risks of eating animal-based products. With an emphasis on the way meat is being produced. I caught wind of how truly unhealthy most of our food in the US is just a few years ago. And only then did I realize what was possible in the gym with vegetarian bodybuilding. 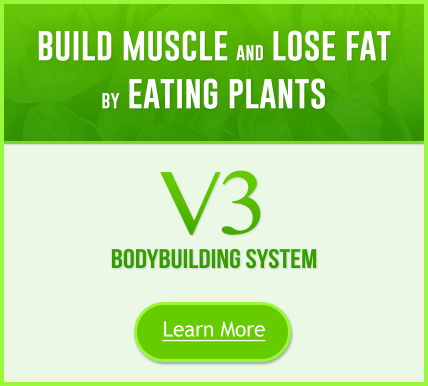 Q: What are your top 3 tips for building muscle while using a vegan bodybuilding diet? 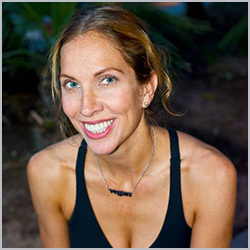 I hand-picked some of my favorite experts on the topic (I even make a cameo appearance); each one provides their three top tips for vegan bodybuilding. TIP 1: First of all, work out with intensity and frequency. TIP 2: Don’t get sucked into marketing hype about supplements. If you’re doing #1, you will get results. Supplements are, at best, a waste of money. At worst, they can wreck your health. TIP 3: Learn the nutritional content of your foods. Eat higher protein and less fat (and mostly, if not all, whole unprocessed plant foods that you prepare yourself – or find a very trustworthy source to prepare your foods the right way). TIP 1: Effectively establish your true daily caloric expenditure. Determine what your Basal Metabolic Rate (BMR) is, and combine that number with the number of calories you burn through physical activity. A simple way to establish these figures, which evaluate your caloric expenditure based on gender, age, height, weight, and activity level, is to use a BMR calculator and a Harris-Benedict calculator. These calculators are easily accessible online. For example, my BMR is 1,740, meaning I burn 1,740 calories just lying in bed and doing nothing else. When I factor in the calories burned throughout the day during my physical activities, from running errands to working out, my caloric expenditure nearly doubles at 3,230. That means in total, I expend more than three thousand calories each day. Therefore, just to maintain weight, I should eat roughly 3,230 calories per day from nutrient-dense whole plant foods.The reason we establish this figure is so we can construct a nutrition program to aid in building muscle based on real metrics, to put ourselves in a position to succeed. 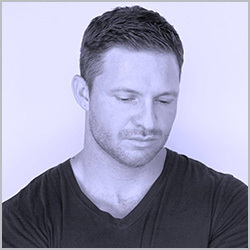 If I were to grossly under-eat in relation to my true caloric expenditure – say, consuming 2,500 calories per day while burning more than 3,200 a day – it is unlikely that I would put myself in an adequate position to build muscle. For these calories to go toward muscle gain rather than fat gain, we’ll need to ensure we eat nutrient-dense whole plant foods, not processed or refined foods, and of course, combine that effort with an exercise program, preferably one of resistance weight training. 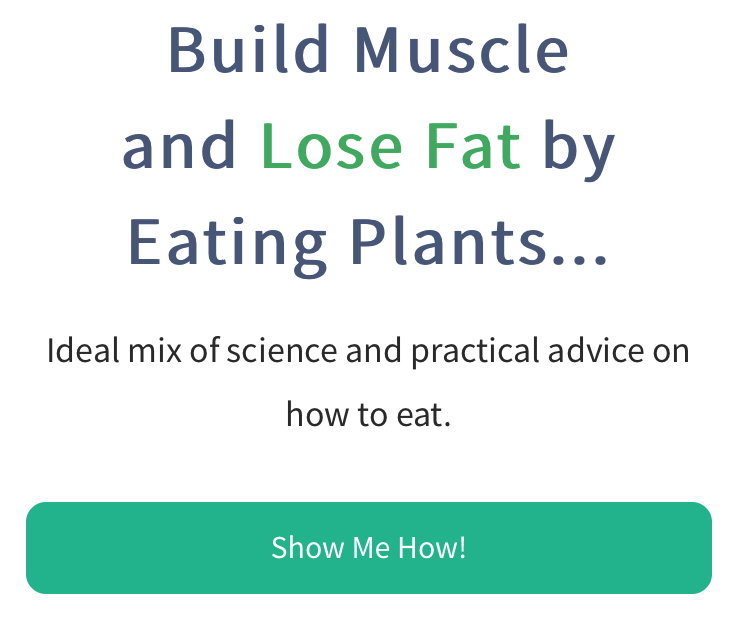 TIP 2: Create a nutrient-dense whole plant-food nutrition program to follow with consistency, accountability, and transparency. 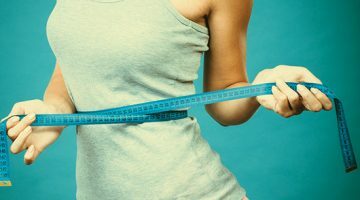 Once you have established how many calories you expend each day, you’ll want to construct a nutrition program that exceeds that figure and aim to have the majority of your calories consumed coming from whole plant foods. In my case, since I am burning 3,230 calories a day, I aim to consume about 3,700 calories per day, combined with resistance weight training, in order to repair, recover, and build muscle tissue damaged from exercise. Since the surplus in caloric consumption beyond expenditure (in my example, about 500 extra calories per day) is coming from whole plant foods naturally high in nutrient-rich carbohydrates and low in fat and protein, I am unlikely to have these extra calories hang around as fat, but rather go toward repairing and growing muscles. If you fear that this additional caloric consumption beyond your requirements to maintain weight might cause fat gain, simply add some fat-burning cardiovascular training in the morning a few days a week to put your mind and body at ease. TIP 3: Build an exercise program and create a routine that leads to new habits. What goal setting and achieving really comes down to is creating productive and efficient positive habits. Whether we’re talking about burning fat or building lean muscle, your likelihood of achieving success weighs heavily on your ability to create the habits necessary to attain the results you’re striving for. Most importantly, be safe and have fun. My motto is to train hard, eat well, smile often, and lift others up. It if isn’t fun, you’re unlikely to stick with it. If you find meaning and joy in your pursuit of elevated levels of health and fitness, you will look forward to exercising often. Following these three tips with consistency, transparency, and accountability will help you build lean muscle on a whole-food, plant-based diet and help you achieve your goals. I wish you all the very best in health and fitness. Let’s get shredded! TIP 1: Drink at least three plant-based protein shakes daily. TIP 2: Always keep cooked beans on hand and eat them with brown rice for a complete protein. TIP 1: Although I derive protein from multiple food sources, my primary whole-food protein sources are quinoa, tofu, black beans, and veggie burgers. I also utilize combinations of incomplete proteins to make up a complete protein meal, such as peanut butter and sprouted bread or beans and Brazil nuts. I get 40 to 50 percent of my protein from vegan protein shakes to keep my carbs at bay (unless I’m bulking up). 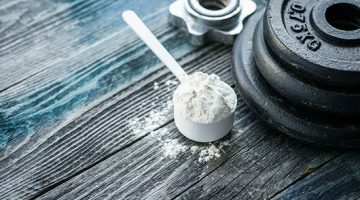 And don’t assume you need a gram of protein per pound of body weight as suggested by many mainstream bodybuilding magazines. Some need less, while others need more. Be willing to perform the diligence of learning about your body instead of blindly assuming what works for the latest bodybuilding expert will automatically work for you. Naturally, you will need to adjust your intake of protein as your fitness goals change as well. TIP 2: Get enough quality calories. Eating only plants all day every day won’t cut it; you need calorie-dense foods, as well. If you want to build muscle, it doesn’t matter if you’re a vegetarian or meat-eater, you have to eat like a horse. Ask any bodybuilder who’s trying to pack on mass. They will tell you that most of the time they eat until they’re full, and continue eating slightly beyond that point until it’s mildly uncomfortable. TIP 3: Train hard! And be mindful of what your body is telling you. No book or magazine article can tell you what’s the best method of training, but your body can if you learn how to listen. I can’t tell you what will work for you. But I know of a process that will guide you there. Start with one credible strategy, remain consistent, and journal about your experience. Then allow enough time for change to take place without interrupting the process with the next cool thing you read in a magazine. Eventually you will discover the right path for you. And even that path may change over time. The main thing is to get dialed-in to what your body is telling you. Meditation and mindfulness practices will fine-tune this ability. 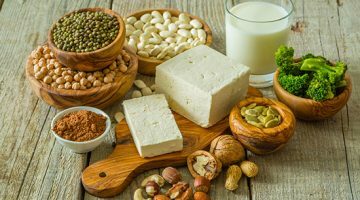 TIP 1: Not to go down the annoying, “where do vegans get their protein from” path, but vegan or not, I can’t stress the importance of getting enough protein in your diet. Truth is, if your body can’t find enough to sustain itself, it takes it from your muscles, not your body fat. TIP 2: Don’t consider nuts a main source of your protein. Yes, there is some protein in nuts, seeds, and nut butter. And yes, they’re good for the heart and nutritious, but they’re also super high in calories, and a caloric surplus = fat storage. So consume them sparingly unless you want a layer of flab covering your hard-earned, plant-built muscles. TIP 3: Just because you’re vegan doesn’t mean you can eat as much fruit as you want, either. Fruits are still carbs, which get used as your body’s main source of fuel, and yes, they are essential for providing energy and mental clarity. But all carbs get broken down into glucose (sugar) and is either used immediately for energy, stored as glycogen in the liver and muscles (for easy access), or turned into fat for longer-term storage. Eating too much fruit (like any carb source) will overload your system with energy it cannot use, and in turn, make you fat. So make sure to eat fruit earlier in the day or before your workouts to ensure you can burn them off. TIP 1: Consume enough calories from predominantly whole foods. Very often when switching to a plant-based diet or someone struggling to build muscle, people grossly underestimate how much more food they potentially need. Make sure your total caloric intake is high. Muscle will grow in an environment with a caloric surplus of predominantly whole foods, and you need to take into account how active you are with that, too. If your energy expenditure is high, you will need more total calories to maintain a caloric surplus – which is the perfect anabolic environment for muscle growth. It doesn’t mean add more protein necessarily; sometimes, you need to add more plant based fats and carbohydrates, which is usually the case. TIP 2: Make sure you intentionally have some diversity in your eating regiment. Nothing says poor results like one-dimensional food choices. If you want to maximize your amino acid profile uptake, maximize your phytonutrient/mineral/vitamin balances, which all assist the body in optimizing hormonal function, and in turn, help the body maximize how it uses nutrition. Then get a bit more diverse! Add in chickpea-based meals, quinoa-based meals, rice-and-bean-based meals, etc. Use other variants of foods like tempeh, tofu, hemp seed, and a range of fruits and veg. Combine different nuts and seeds and mix them through a couple of staple recipes. You don’t have to cook up 1000 different meal options, but you do want to add a colorful, diverse range of nutrition to each meal to really cover all your bases for maximal muscle growth. TIP 3: Pay close attention to your own biofeedback. What I mean by this is that the kinds of foods you eat, the size of the meals, and when you eat them all have a variety of effects on your own unique physiology. For example, if I personally eat too late in the day or my meals are too large, it can impact my sleep patterns, leaving me feeling very unrested and under-recovered. This then slows my recovery from training the next day and affects my performance in the gym, which affects the nervous system and anabolic response for muscle growth in a negative way. Not ideal. So play around with your meal timing; see what foods add energy and which ones leave you feeling bloated or tired. It could be as simple as removing a certain kind of bean and using chickpeas or sweet peas instead. TIP 1: It is often the main topic of conversation for many people that vegetarians and vegans “don’t get enough protein” on a plant-based diet. But that couldn’t be further from the truth. And if you really think about it, how many people do you know with a protein deficiency? I know that I have never met anyone that was ever deficient in protein. In bodybuilding and fitness world, the standard amount of protein is one gram per pound of bodyweight. You need to divide that number up according to how many meals you are eating a day. Taking in the proper nutrients every two to three hours ensures that your muscles will always be fueled and nourished, providing the best opportunity for growth and achieving desired results. Remember not to exceed too much protein per meal. Your body can only assimilate what it needs at that time. Like any of the macronutrients, if you eat too much, it will store as fat. So be careful on your macro portions. My favorite plant-based protein sources are vegetables (especially leafy greens), beans and rice, quinoa, amaranth, and plant protein shakes. TIP 2: Besides proper plant-based nutrition, you need to have a consistent workout routine that incorporates weights. 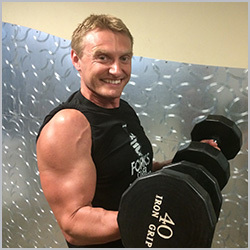 I train with weights five to six days a week at the gym to build lean muscle and feel strong. Since I don’t compete anymore, I use the winter for my off-season and I eat more calories while I train, and I treat the summer as my stage and eat cleaner plant-based foods and less cheat meals to look leaner in a bikini. I play with my macros. Trial and error is the best way till you find what works for you. Progress pictures don’t lie! TIP 3: Water! To this day, I still train clients who don’t drink enough water, and it blows me away they are even still alive. I had this client tell me she drinks two cups a water a day and then gripes about why she can’t lose fat and make gains. Dehydration occurs when the amount of water leaving the body is greater than the amount being taken in. The body naturally loses water through breathing, sweating, and using the restroom. You have to replenish the body with a significant amount of water to make up for this loss. Our bodies are about two-thirds water, so that means every cell in your body needs water from head to toe. Being 2 percent dehydrated for your body can have serious mental and physical functions. Being 15 to 20 percent dehydrated is lethal. Dehydration will reduce a person’s protein synthesis, which is required for building and repair. That is why being hydrated is very important to fitness and fat loss. Chug it. I always suggest to my clients to aim for a gallon a day. 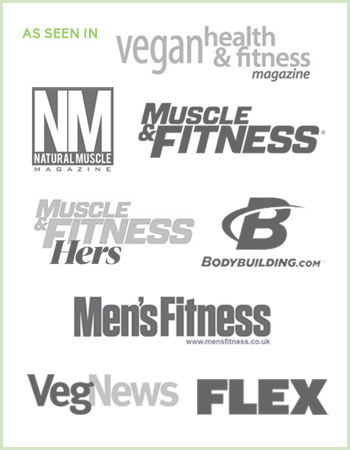 The well-informed suggestions by these experts will help build a solid foundation in vegetarian bodybuilding and plant-based fitness. Each expert clearly expressed a unique voice, experience, and path, and yet you can sense congruency within our collective experience. 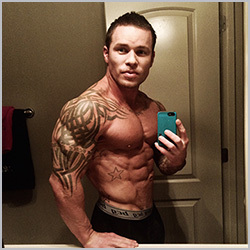 The collective community presented here are more than willing to help you on your journey to healthier bodybuilding. I encourage you to visit their respective websites and VegetarianBodybuilding.com on a regular basis. Most importantly, do something right now/today to keep the momentum going!